I am a Burlington, Ontario Chiropractor, Posture Expert, Postural Neurologist and Personal Training Specialist at Life Chiropractic Centre on Guelph Line North. If you have kids back at home from college or university it is very important that you keep an eye out for complaints such as headaches, jaw tension, grinding of the teeth and pain in the neck, shoulders and upper back. The kids have just been through a very, very stressful 3 or 4 weeks finishing up their school year and writing their final exams, and this is the most likely time when these problems will arise. 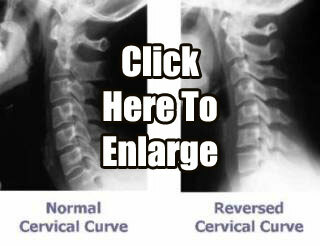 Studying reading textbooks or on an laptop or tablet which students do for hours and hours on end, is going to put a great deal of stress in the region of the head, neck and shoulders resulting in a posture distortion called forward head posture or what we now refer to as tech neck. We have talked about tech neck many times before, and this particular posture distortion is when the head and neck are being held out in front of the shoulders instead of being centered on top of the shoulders. And tech neck will most definitely cause those complaints and symptoms that I mentioned earlier. Now, it is very easy for you to check your kids at home for tech neck. Let me explain how … have them stand comfortably with arms at their sides and observe their posture from the side. If the center of their ear is not lined up directly over the centre of their shoulder then there is a problem. But do not despair as I can certainly help you with this. Schedule an appointment for your free initial consultation which includes a free detailed postural analysis. I can then show you exactly what you need to know and then we can proceed to fix the problem. Life Chiropractic Centre … helping families just like yours build vibrant, healthy, drug-free lives for over 25 years in Burlington.